We are proud to congratulate the region’s busiest – and largest – multidisciplinary robotic surgery team on performing more than 1,000 minimally invasive procedures in the past year. Our program, now 10 years old, is the only one in the region featuring four da Vinci Xi Surgical Systems, a sophisticated platform using 3D-HD visualization that offers the most advanced option for major surgeries. Getting you better, sooner. It’s why more patients are choosing Crouse — and why our minimally invasive robotic surgery program continues to grow. Put your care in the hands of the most experienced robotic surgery team in Central New York. They’re performing more surgeries in more specialty areas than ever before. And since we use the latest innovative techniques, stays are getting shorter and incisions are getting smaller. Crouse Hospital was, in fact, selected as a training site for robotic surgeons who come from across the country to learn the latest techniques from our team. The most advanced tools and trusted hands. Don’t you deserve the Crouse experience? All surgeries, including those utilizing robotic technology, involve the risk of complications. While clinical studies support the effectiveness of the da Vinci surgical system when used in minimally invasive surgery for specific indications, individual results may vary. There are no guarantees of outcome. 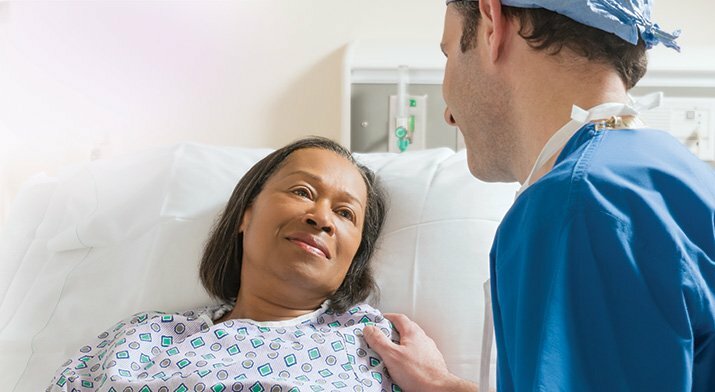 Before you decide on surgery, it is important to discuss treatment options with your doctor. Understanding the risks of each treatment can help you make the best decision for your individual situation. Surgery with the da Vinci surgical system may not be appropriate for every individual or applicable to your condition. Always ask your doctor about all treatment options, as well as their risks and benefits. Only your doctor can determine whether this type of surgery is appropriate for your situation.